World's Strongest Coffee For Real Coffee Lovers Add to Flipboard Magazine. 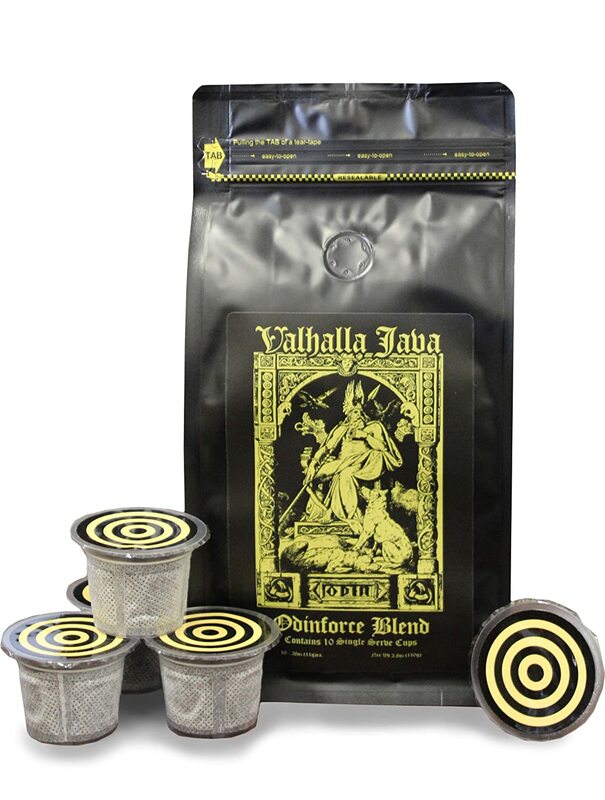 The World’s Strongest Coffee For Real Coffee Lovers……guaranteed. Are you a true coffee lover? Do you love strong coffee? Then you are going to love this coffee. I love coffee, the stronger the better for me. So many coffee companies claim theirs is strong, but most just don’t cut it for me. 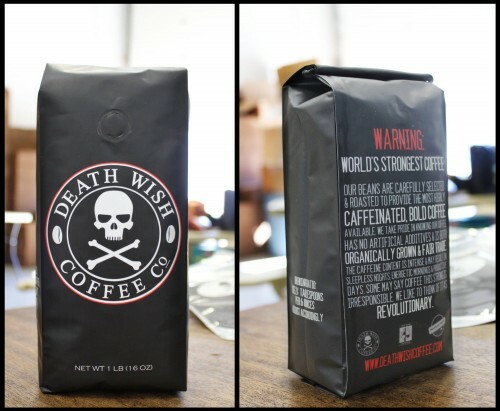 The Death Wish Coffee Company doesn’t just say they have the world’s strongest coffee, they guarantee it. They have over 100 years of roasting experience, revolutionary processing techniques, and have found long forgotten trade secrets to create the world’s strongest coffee. Their company’s mission was to develop an insanely strong coffee that was dark, highly caffeinated, and very flavorful. Mission accomplished! They claim that their coffee is 200% more powerful than typical coffee shop roasts. But they go farther than that. They are so sure of their coffee that they give you a 60 day, money back guarantee if its not the strongest coffee you’ve ever had. They have it ground or in whole beans. Pick your poison. It will fit the bill for just about everyone, especially since it is Organic, Fair Trade and Kosher. Watch this great video from the Death Wish Coffee Company. 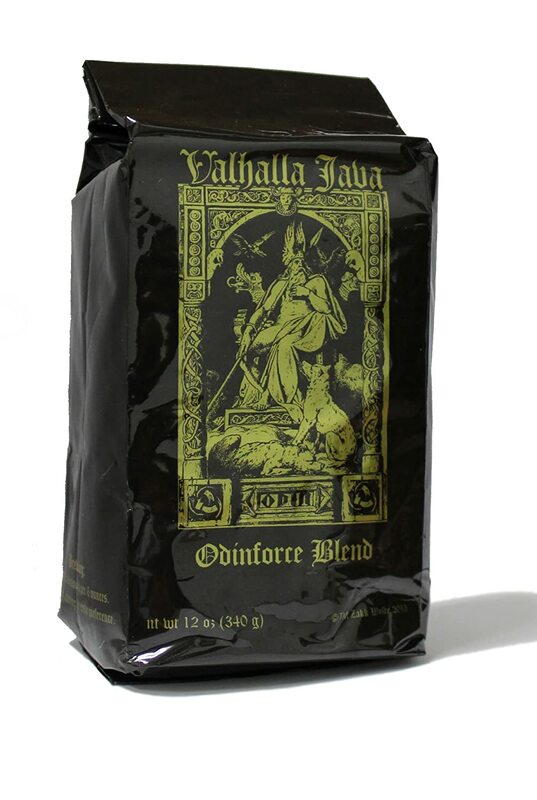 Forged from the volcanic soils of Indonesia and the nutrient rich soils of Central and South America comes Valhalla Java Odinforce Blend. This masterful artisan roast has been carefully crafted to provide maximum flavor and caffeine content. This coffee is sure to bring you back from the nights that you never thought you would wake up from. Also comes in K Cups. Perfect for a quick cup of strong coffee in the morning. Perfect for more coffee at the office. 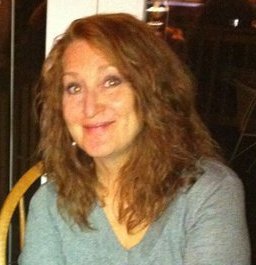 I need more than just one good cup of coffee a day…..like a pot please. Have coffee on the go with a 16-ounce Stainless Steel Travel Mug. Perfect for coffee and tea lovers on the go. It is vacuum insulated to keep coffee hot or iced coffee cold for hours. The lid unscrews a 360 Degree for easy cleaning and care. 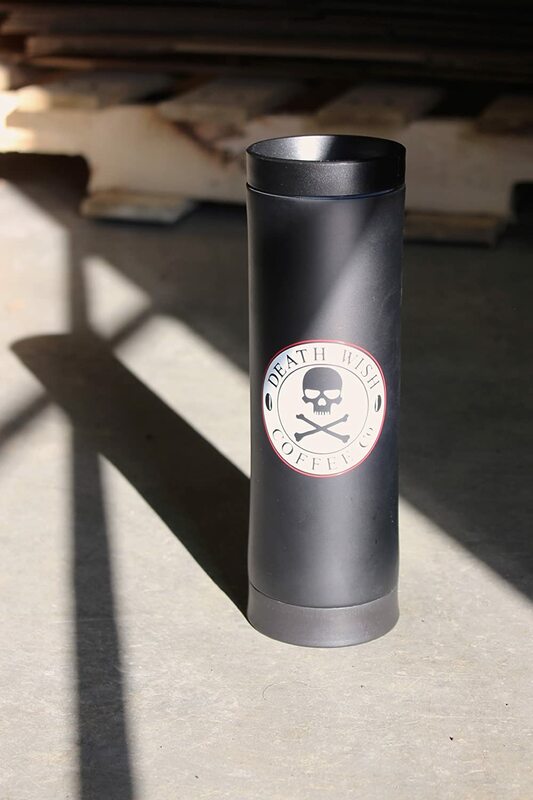 Two tone white and black mug with the Death Wish Coffee Company logo on the front. Hand wash only. Not suitable for dishwasher, microwave, cooking or freezing. Another great video from The Death Wish Coffee Company. I think I am convinced. I am going to have to try it…especially since they have a great guarantee. Will you?? ?